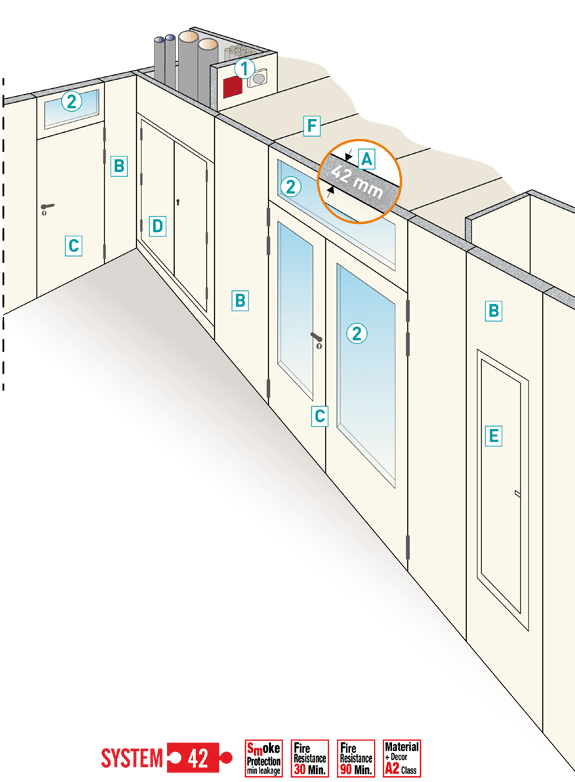 PRIORIT Modular fire protection system "System 42"
Structural fire protection is a permanent component of buildings for protecting persons residing inside of them and who should leave the building safe and unharmed when a fire occurs. It includes a large number of regulations, above all, the specific national building codes which describe the basic requirements. Architects and professional planners must put these basic requirements into practice as practically and effectively as possible, generally by fire-protection planning or a fire-protection concept and the further performance levels for the planning and construction of the specific building. 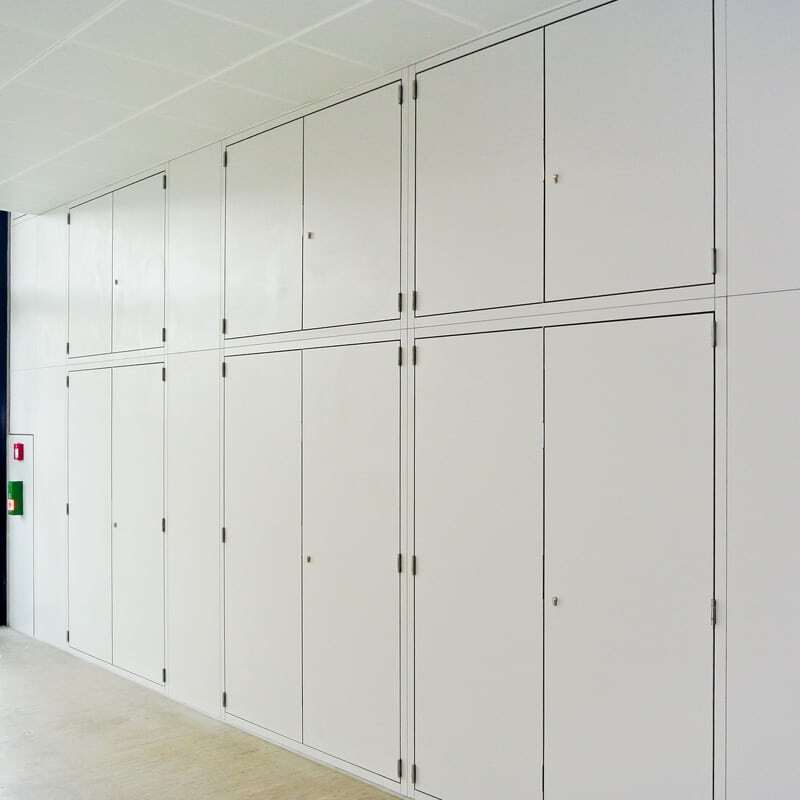 The “jumble” of regulations paired with the building products and the verification required by the building authorities do not exactly make the entire topic of fire protection easy for architects, professional planners, building owners, operators and trades performing the work. The fact that we are currently in a prolonged transition phase between national and European verification for building products, which requires continuous updating, makes the task even more difficult. 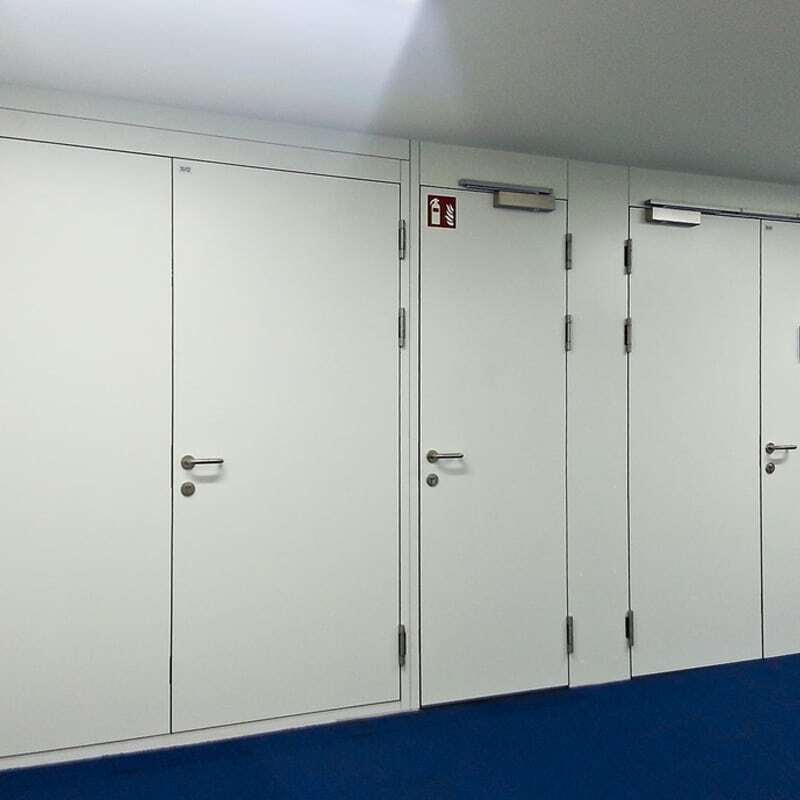 This means that the topic of fire protection must be dealt with more intensively, both now and in the future. Along with these challenges, the topic of architecture, optics, functionality, sustainability and cost optimisation should be consolidated for structural fire protection. 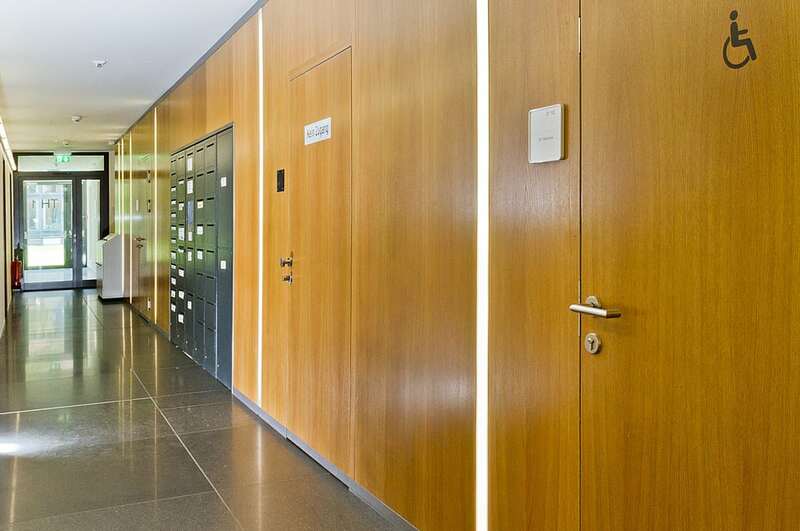 A possible solution for meeting these requirements on structural fire protection is the “System 42” modular fire-production system from PRIORIT AG, which is specially designed for technical building equipment (TGA) and the expansion of rescue routes within buildings. 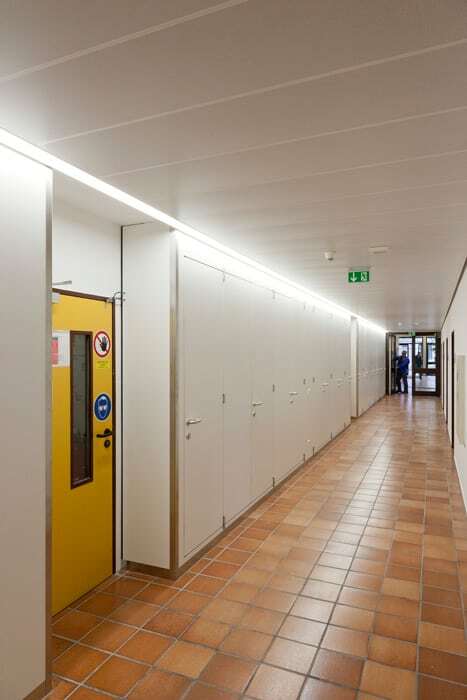 Ceiling system made of PRIODEK H 42 mm thick, which can be easily and neatly constructed, converted and expanding using connectors. 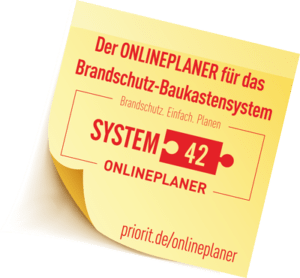 The “System 42” modular fire-protection system consists of several independent fire-resistant non-flammable construction products with a system thickness of just 42 mm, which have been tested in combination with each other and have a general usability certificate from the building authorities. Design and typical application "System 42"
The “System 42” modular fire protection system can be used to implement various designs either independently or in combination with fire-resistant components already existing in the building such as systems in the I, L, U shape or as a room in the room system. 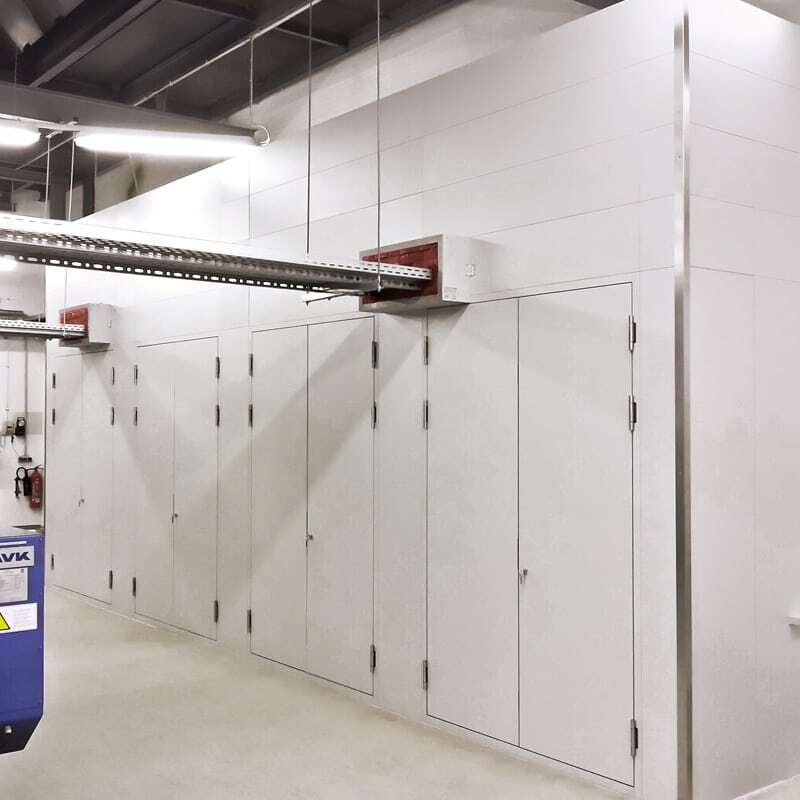 Everything in combination with doors, inspection-opening closures, smoke-removal dampers, fire-protection dampers, bulkheads or ventilation. 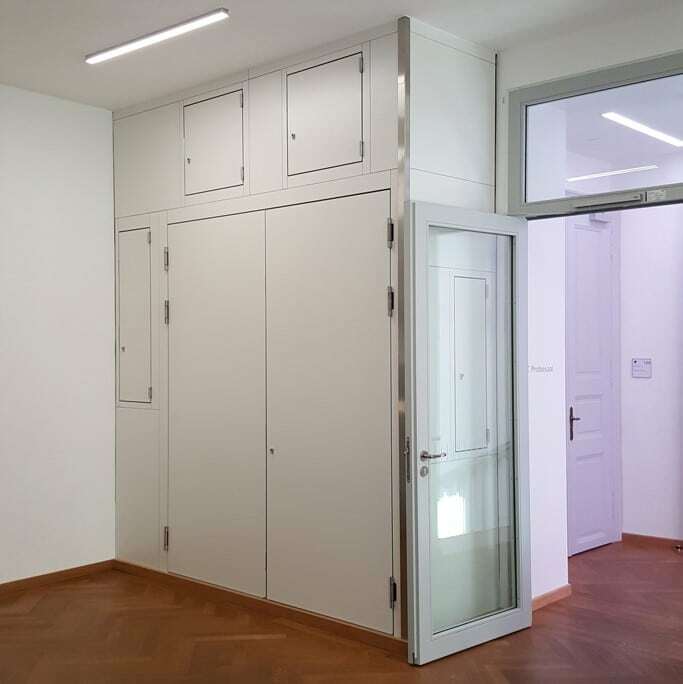 The decorative surfaces (decor, veneer, paint or metal) also make it possible to ideally combine the systems with architecture and historical monuments. 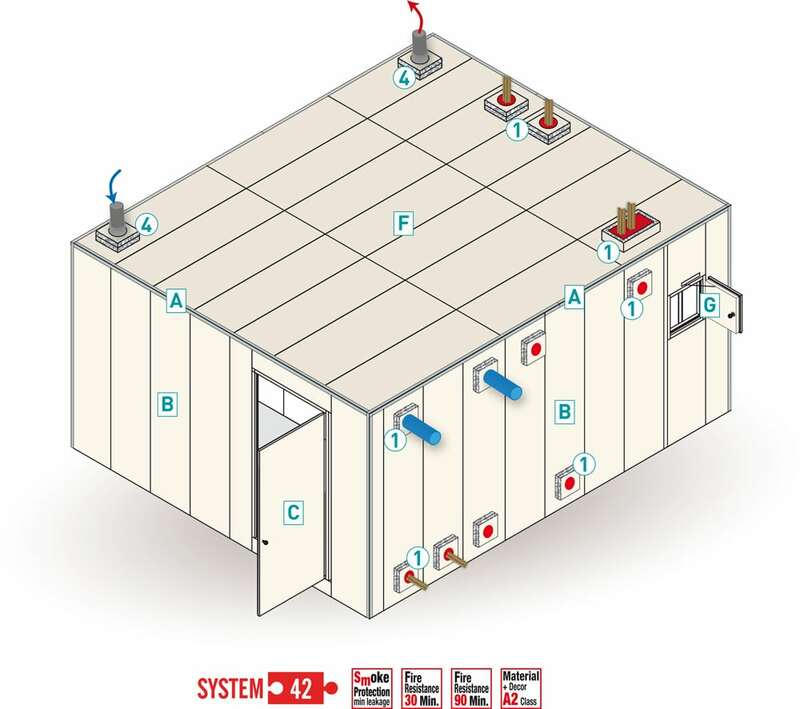 The “System 42” modular fire-protection system is particularly suited for the partitioning of the technical building equipment or materials stored in rescue routes, for installation shafts and their large-scale inspections, for outflow shafts for the RDA, and for special door elements, escape tunnels, storage rooms or electrical service rooms. 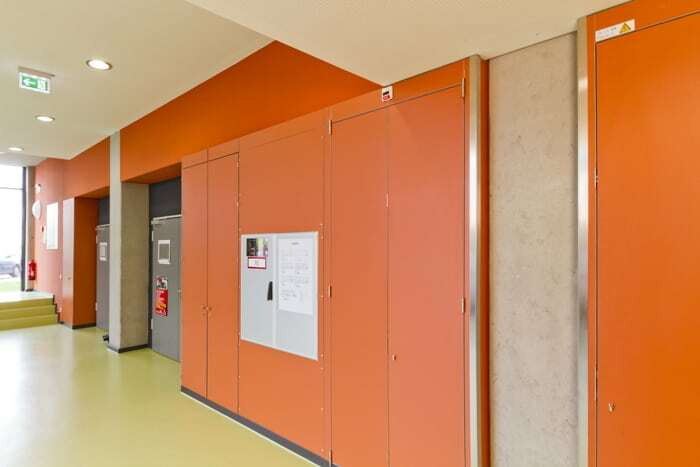 Individual components of the “System 42” modular fire-protection system such as doors, inspection-opening closures, and smoke-removal dampers can be combined with other wall types.